Olympus OM-D EM-1 MkII + 60mm macro. INON strobes, Nauticam housing. Fascinating info, great image. 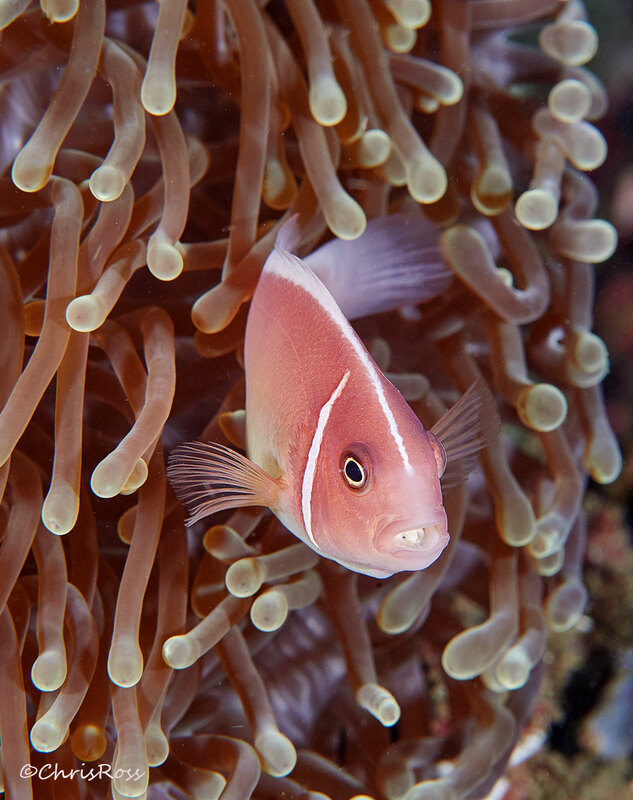 The anemone is not only a natural habitat, it makes for an aesthetically great bg. I’m not normally a fan of centered comps, but this really works here. Very nice image. Learned something new about the wonderful ocean world. Beautiful image with nice colors and sharpness. Anemone makes a nice background. I am getting a good education about marine wildlife from your postings! Great portrait and setting - wonderful angle on the fish. Nature in general is bizarre! Excellent capture, Chris. Cool shot. Bizzare isopod indeed! 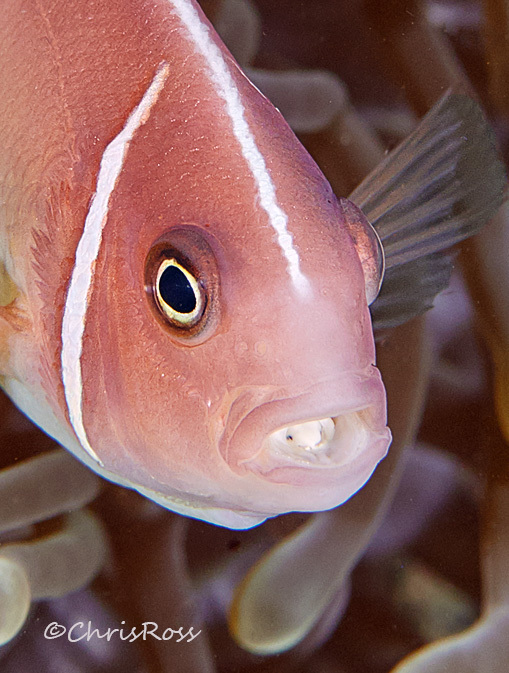 Like the Clownfish, all the young are born males. They enter the fish via the gills and one then becomes a female which latches onto the tongue and destroys the blood supply to the tongue such that it withers and dies. The remnant is still a latch point for the Isopod. Fascinating info. Thanx for sharing.